These wooden planks are nailed to a frame. 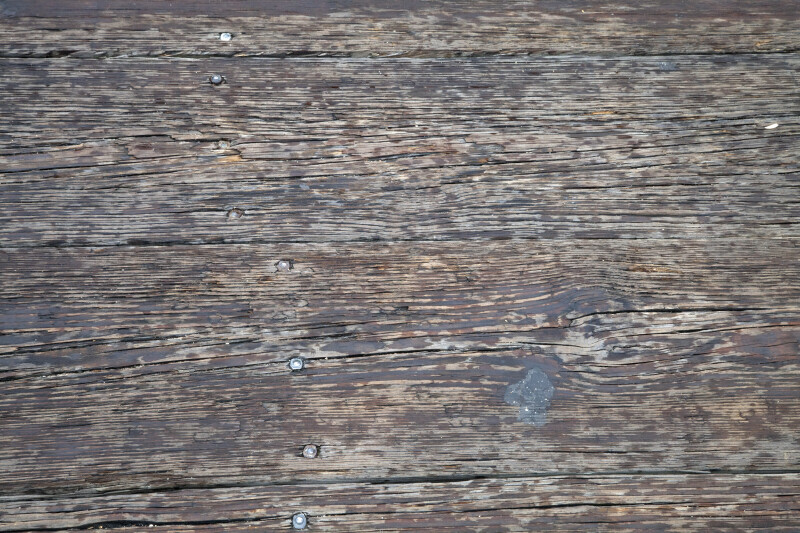 The planks are weathered. There appears to be a sticky substance, perhaps someone's chewing gum, adhering to the surface of the planks. The fort is a National Monument, and is listed on the National Register of Historic Places.